Jenni Mansfield Peal is a songwriter and singer, guitarist, accordionist, and mountain dulcimist. 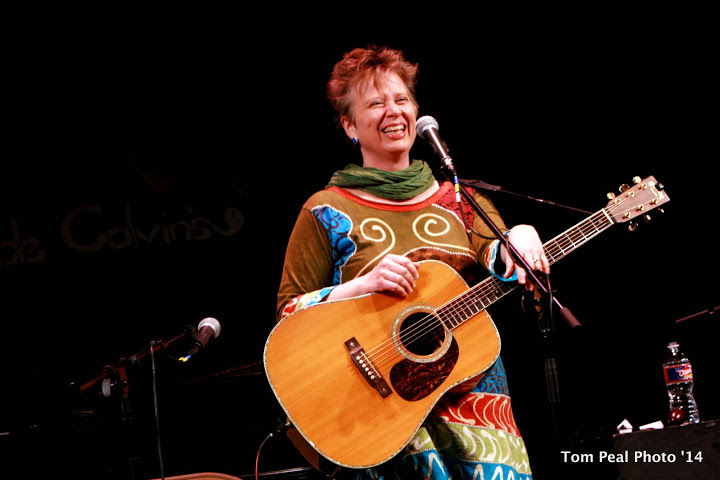 Her experience includes two tours of Northern Ireland, main stage at the Kerrville Folk Festival, numerous original productions and ensembles, and four independent albums. The Mr. Peppermint Show featured Jenni’s songs on multiple episodes that were syndicated world-wide for years, and her most recent recording is for children and families: Putting On the Old Folk’s Clothes. Jenni was named The Best Folk Song Writer in North Texas by CBS DFW, among four, in October 2010. From October 2012 until February 2014, Jenni created and hosted the broadcast radio show “Everybody’s Folk” for KNON 89.3 FM in Dallas. Jenni’s career has been diverse and has become long, driven by a deep love for music and original expression. She’s had many audiences. She is a teacher, a student, an instrumentalist and song preservationist, a children’s entertainer and chanteuse to the elderly, a song writer and a poet. Her pen and voice are given to all human experiences that move her, bright and dark, and she uses the whole language. We hope you enjoy the originality of Jenni’s songs: A bookshelf of short, fat fictions with the world and all of us people as the characters.